Can Organized Planning Be The Cure To Holiday Stress? Can Organized Planning Cure Holiday Stress? You bet it can! Find out how creating a solid plan will help you have a WINNING season. Day two of the holiday shine challenge! Have the best Holiday Season of your Life! 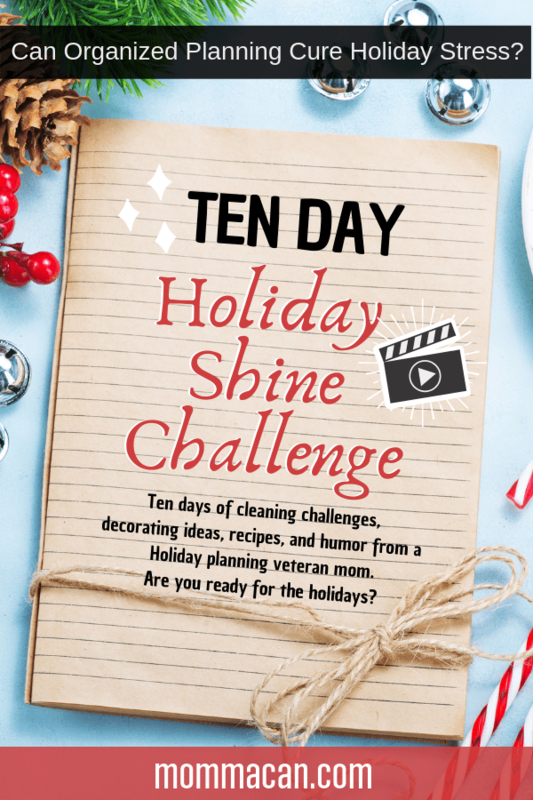 Welcome to DAY TWO of our Holiday Shine Challenge! If you missed day one, please don’t hesitate to start right away! This challenge is 10 Days long so that anyone can play catch up or just start at the beginning and work your way through! Start with a 5-minute dash through the messiest room in your home and throw away the trash and put away stray items. NO excuses. 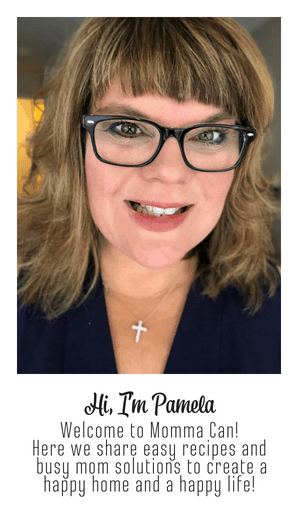 Your home cannot shine in a field of clutter! If you have time also add another 100 Clutter Club Pick-up of Fling. Simple pick up and put away 100 items in 10 minutes. Yes, it seems like a tall order, but the results are amazing! The point if you are getting things tidy! Yesterday we did our brainstorming session and listed our projects! Today we will begin adding actions steps to those projects as well as choosing rooms that need the most focus for our cleaning challenge. This is a total GTD inspired move on my part, and it works because I have been a GTD mom for more than six years. GTD is from the productivity book Getting Things Done: The Art of Stress-Free Productivity by David Allen. I highly recommend this book and the audio series for your car. It will keep you sane during the busiest and most trying times in your life and is the best book on productivity I have ever read. Learning to be productive be being organized even during the craziness of the holidays can reduce stress! Having all our ducks in a row, and thoughts on paper can drastically reduce anxiety and keep us moving toward our target, A fabulous Holiday Season! 5 Quick Reasons Organized Planning Can Cure Holiday Stress? So, let’s look quicker at 5 reasons why Can Organized Planning Cure or greatly Reduce Holiday Stress? You know excactly what you want your outcome to be for the holiday. You have clearly written ideas of things you want to do and experience. Projects have been created that support your Holiday Outcome. You have brainstormed everything to get it out of your head and on paper to have all your bases covered during the busy season. Written dates are on the calendar to let you know when and where your family will be. You know when you are busy, so you don’t double book. The next step will be creating actions to support your projects! Actions are very simple, for each project you write the next few actions that need to take place to complete that project. Hang Sign with instructions for volunteers to run the booth. Test out rolling pumpkin on bumpy grass. I give each of my projects a page of a paper, smaller projects are grouped on one page and some projects, for example, Christmas Dinner, require an entire notebook all on their own simply because there are so much support material and actions to complete to have a successful meal. YES, THERE ARE FREE PRINTABLES IN THE RESOURCE LIBRARIES FOR PLANNING YOUR PROJECTS! GO GET YOURS NOW! OR sign up at the end of this post for our FREE RESOURCE LIBRARY! Start adding steps (actions) to your Project Lists. Start with what needs to accomplished this month or even today and as the week progresses work on your action list for Holiday Projects all through November, December, and January. Now, that the paperwork is complete, it is time to get cleaning. Before bed tonight, do a quick 5-minute pickup in your room or another space that needs some love.